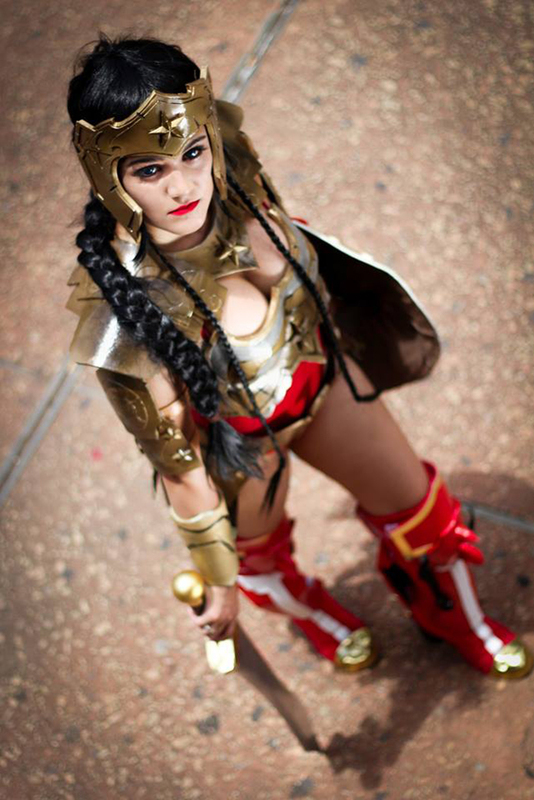 Ambra and her amazing Wonder Woman cosplay! 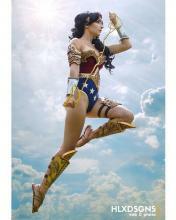 DC comics’ Wonder Woman is one of the most, if not the most iconic female superhero of all time. 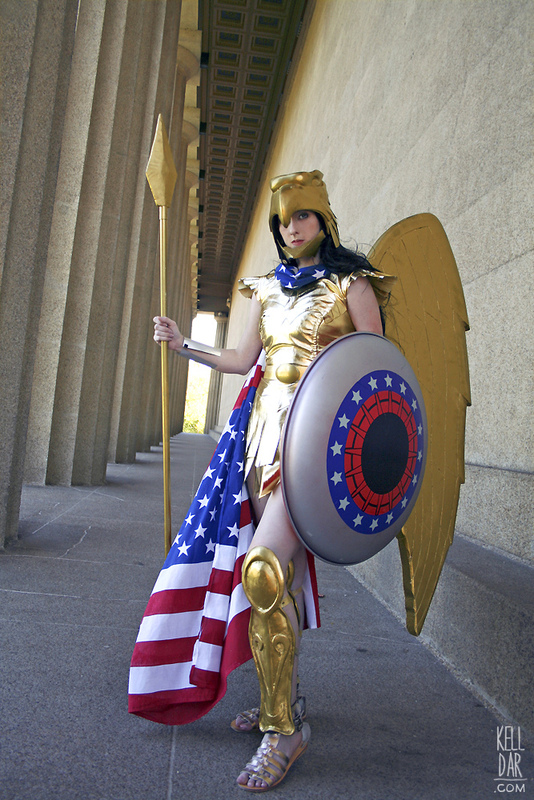 A founding member of the Justice League, Wonder Woman first made an appearance in All Star Comics #8 in October, 1941. 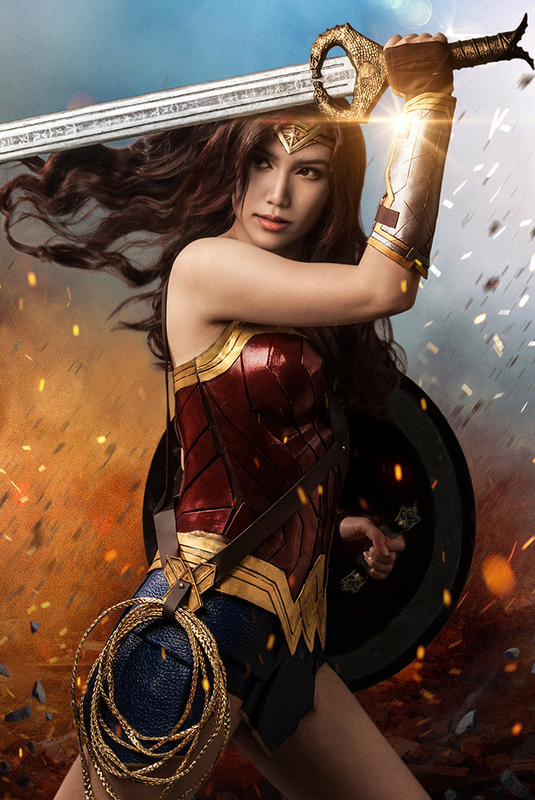 Wonder Woman’s popularity has grown in recent years even with her role in Batman v. Superman: Dawn of Justice in 2016, and in her own movie, Wonder Woman, in 2017. 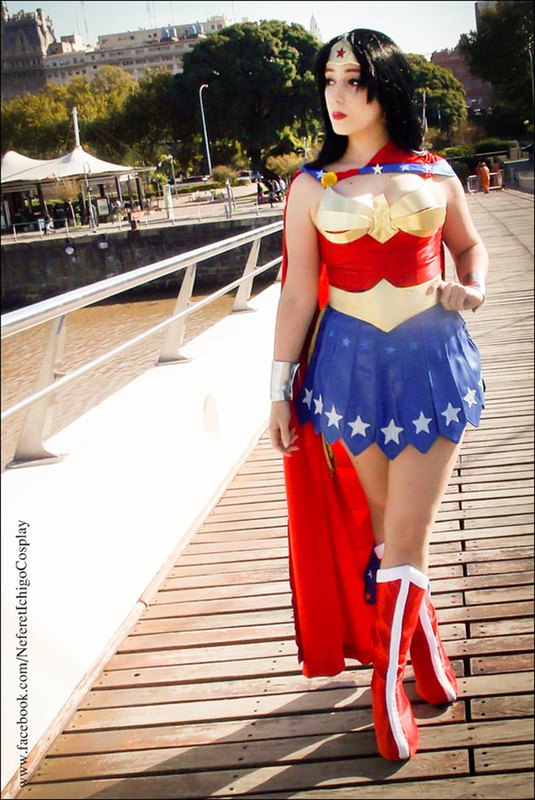 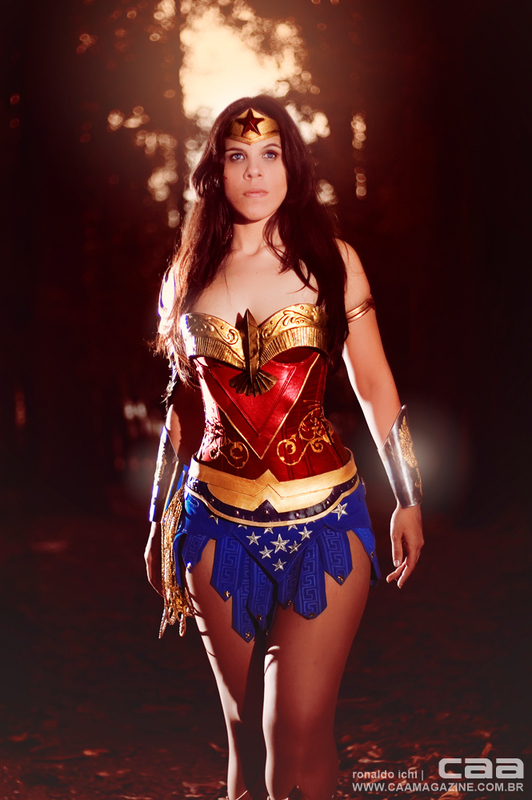 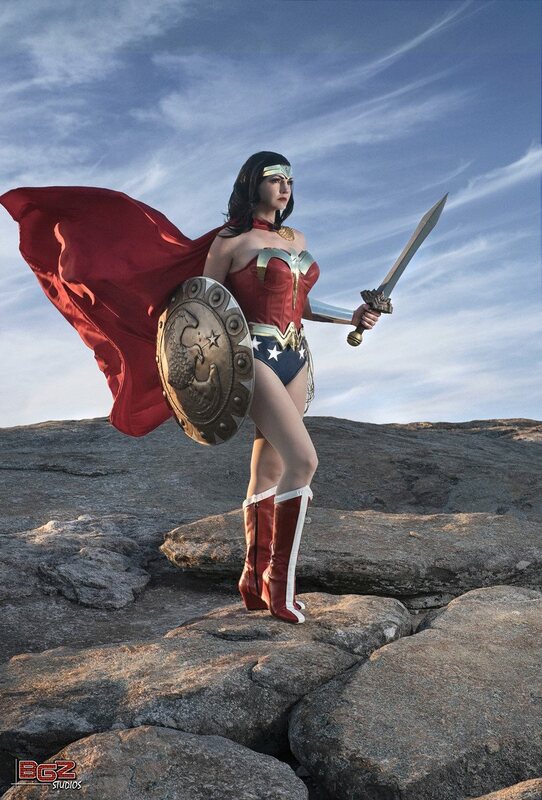 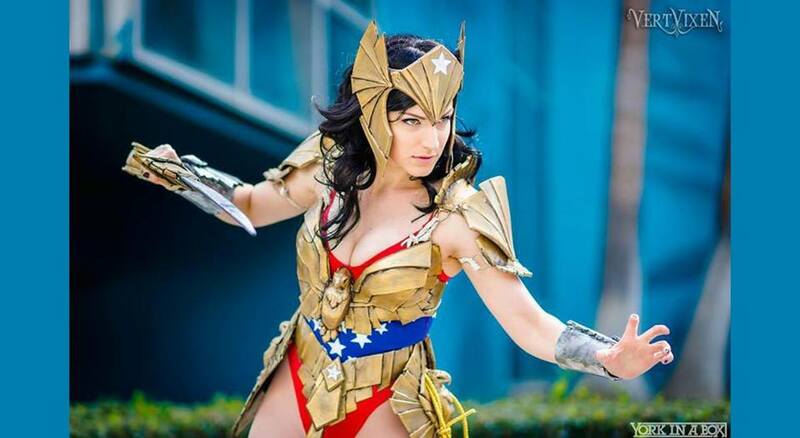 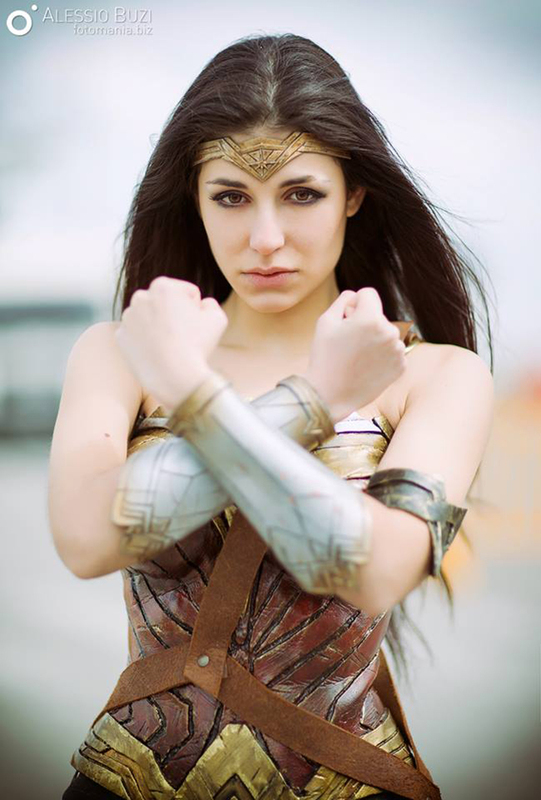 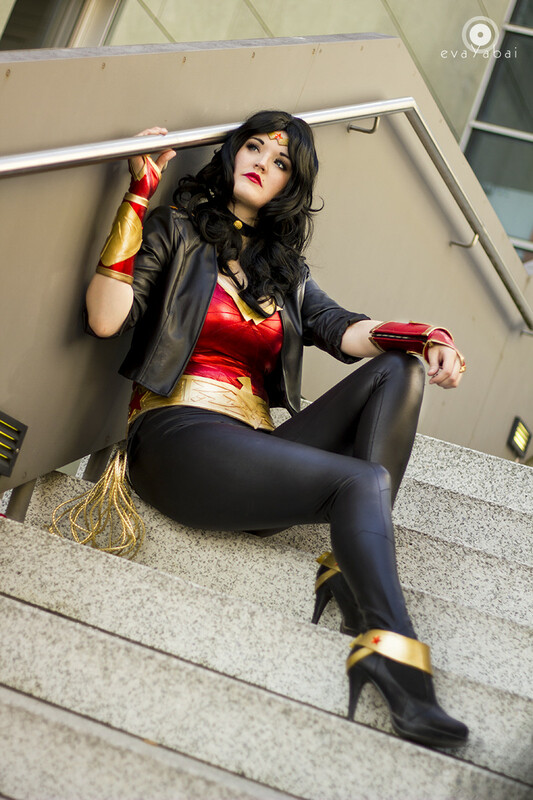 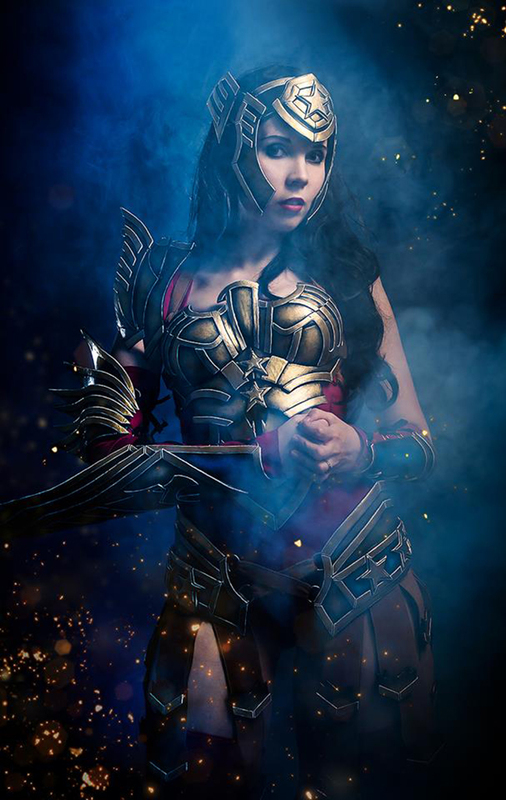 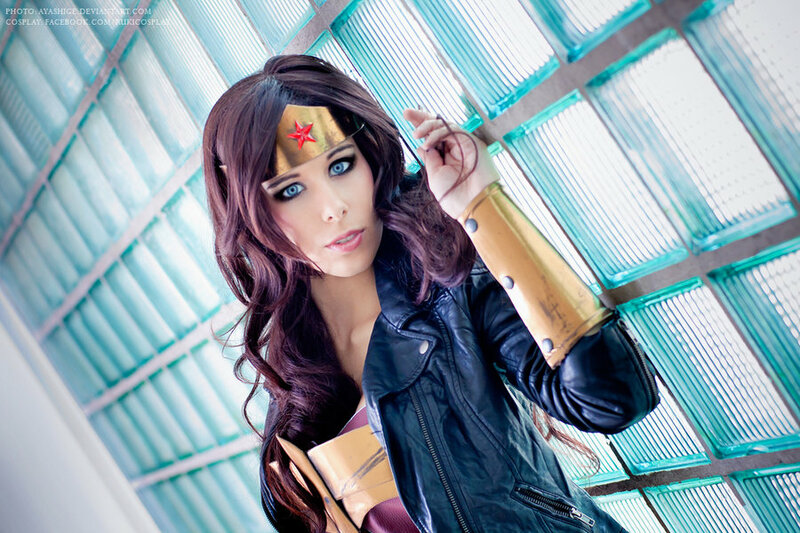 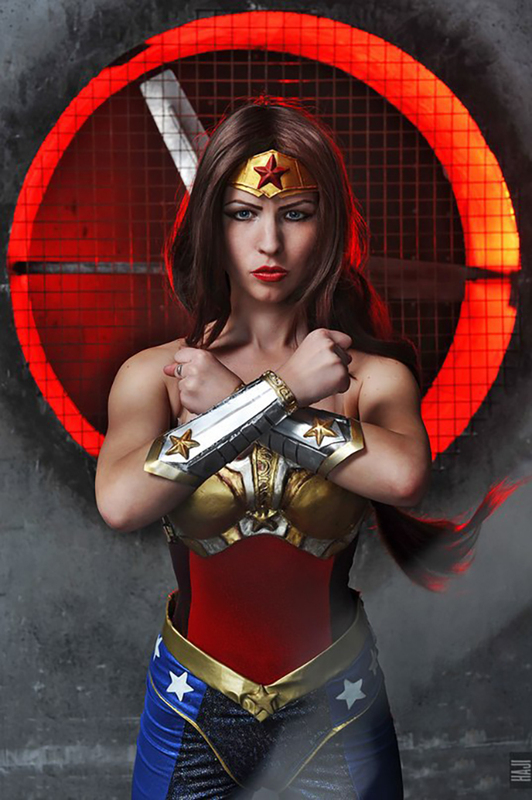 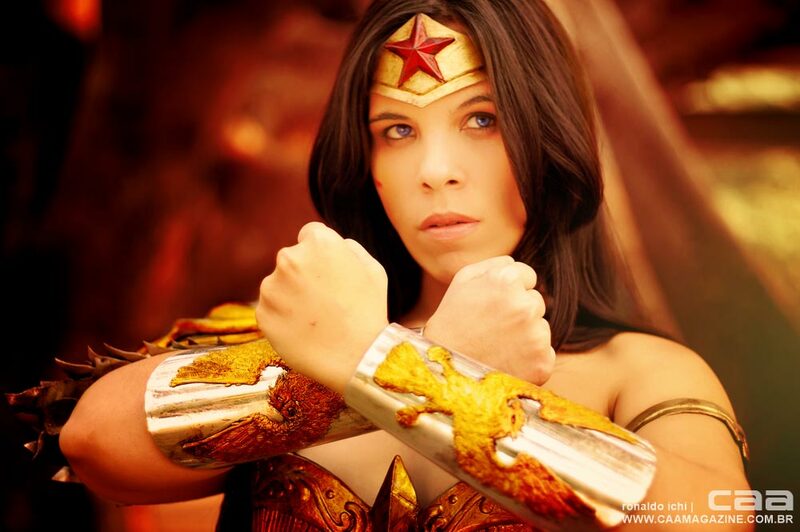 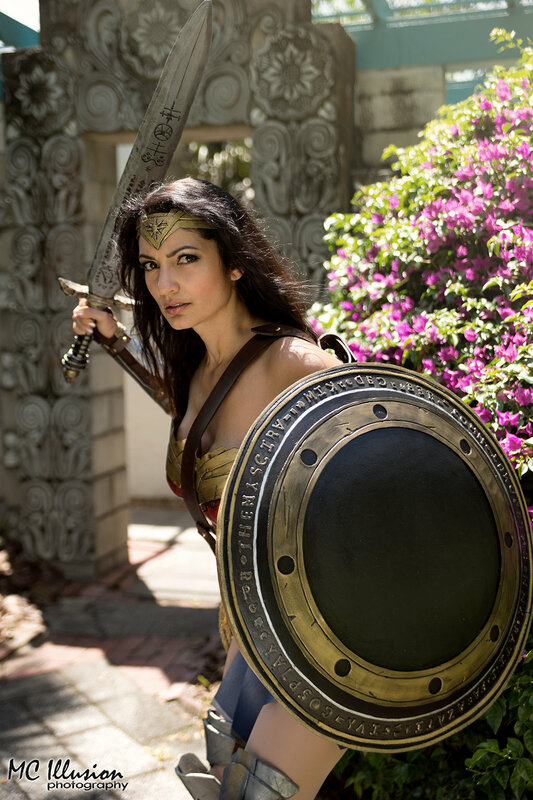 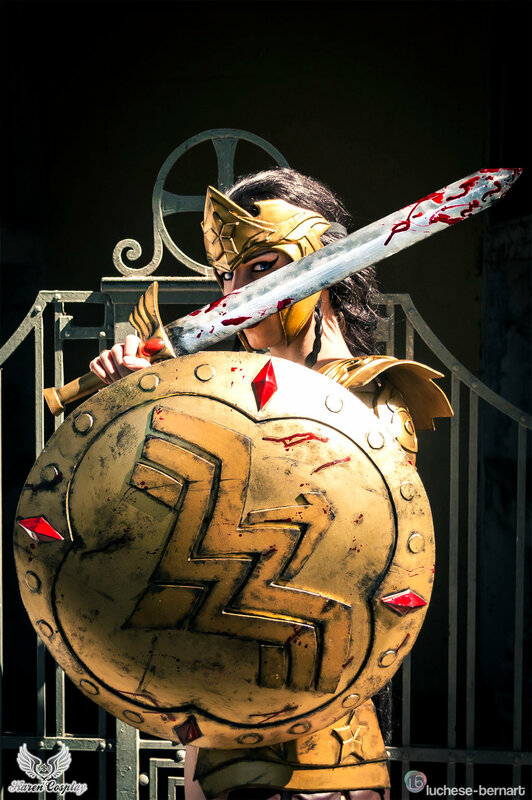 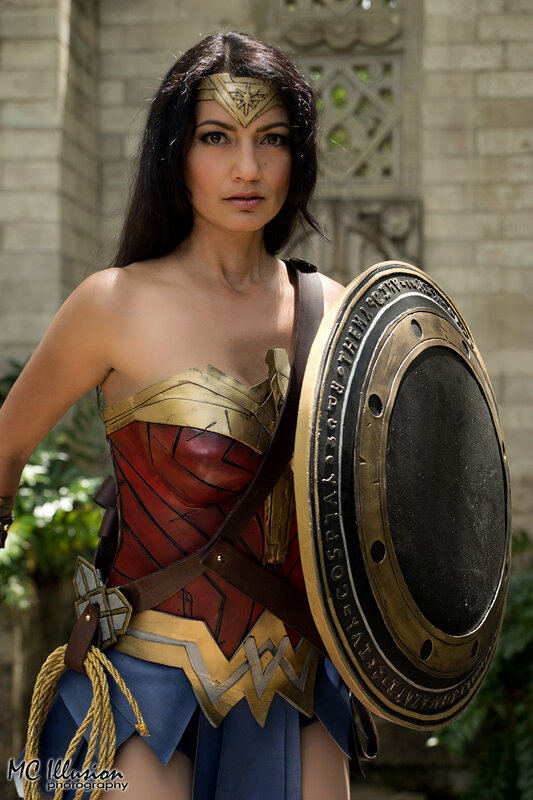 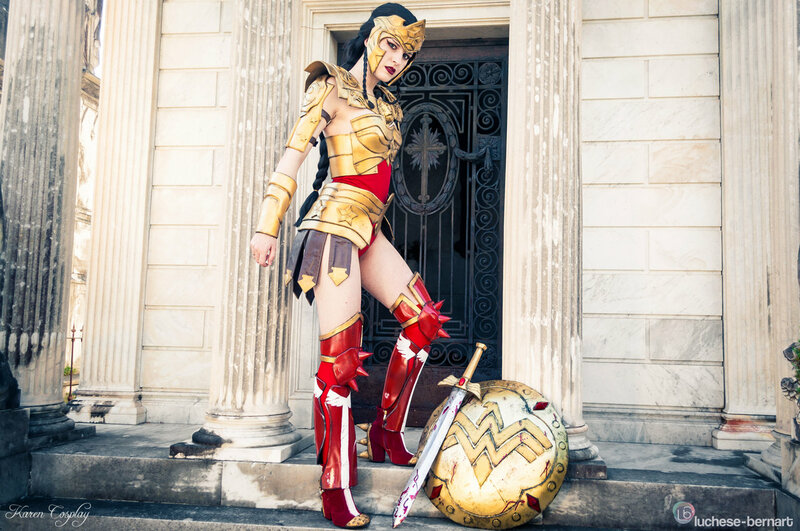 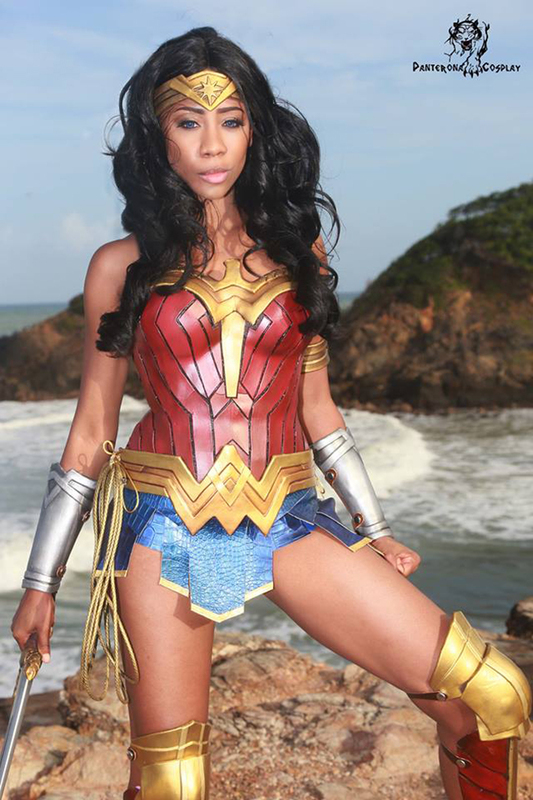 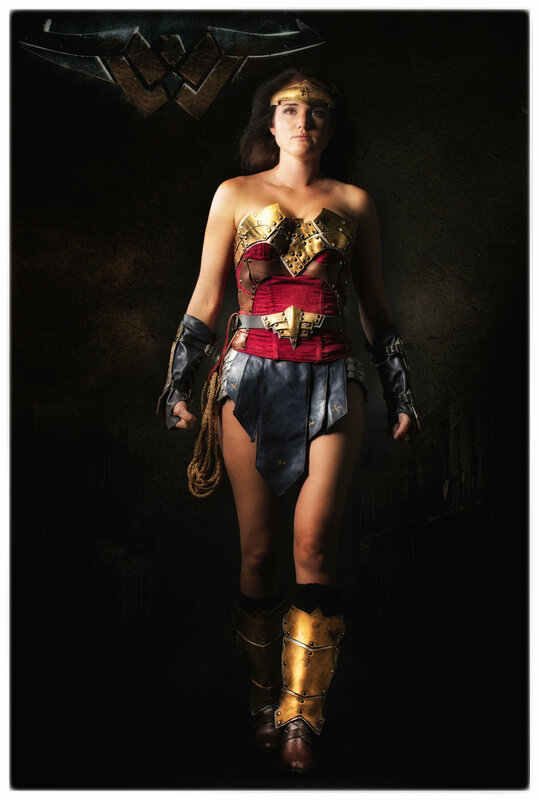 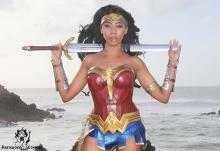 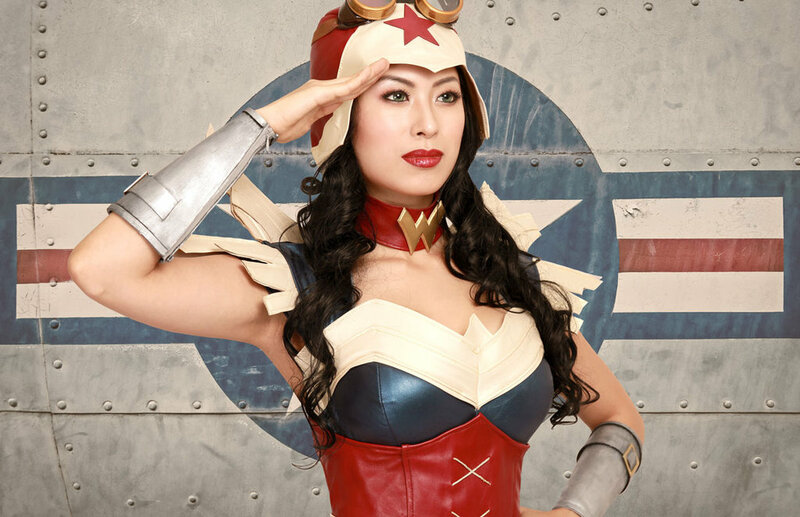 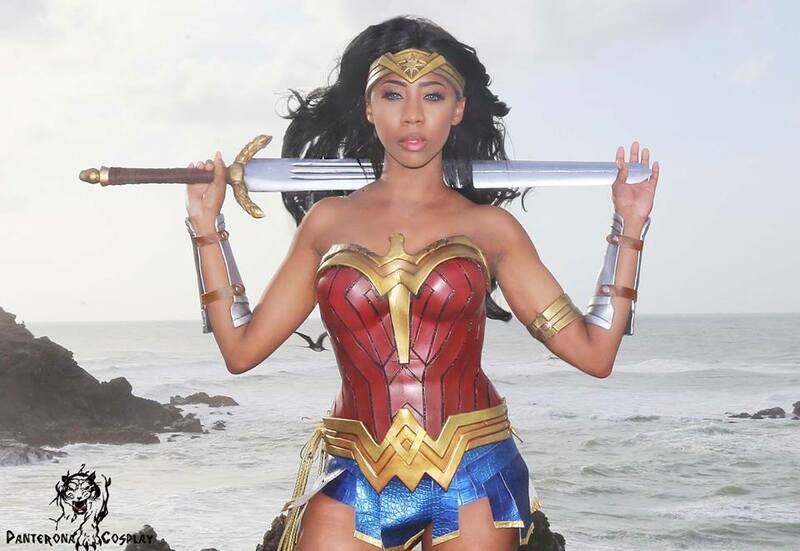 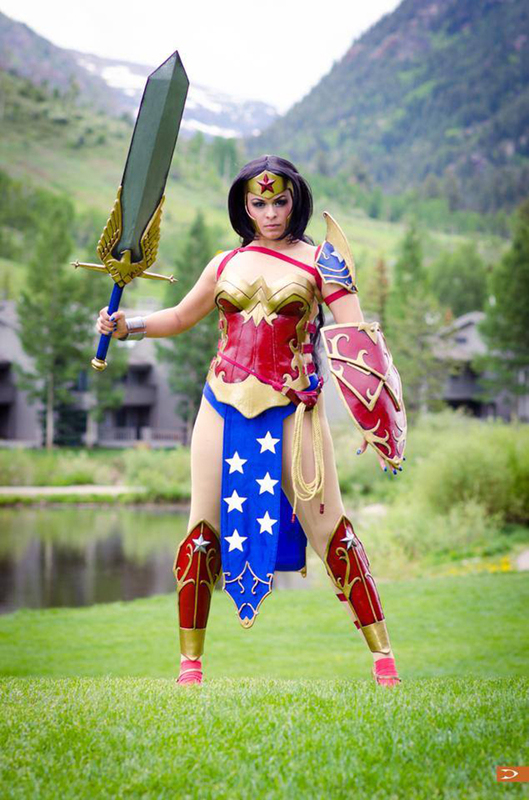 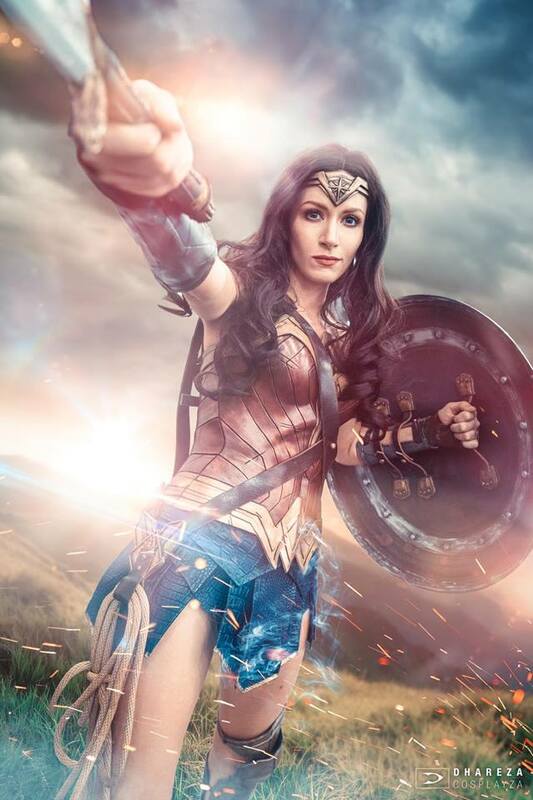 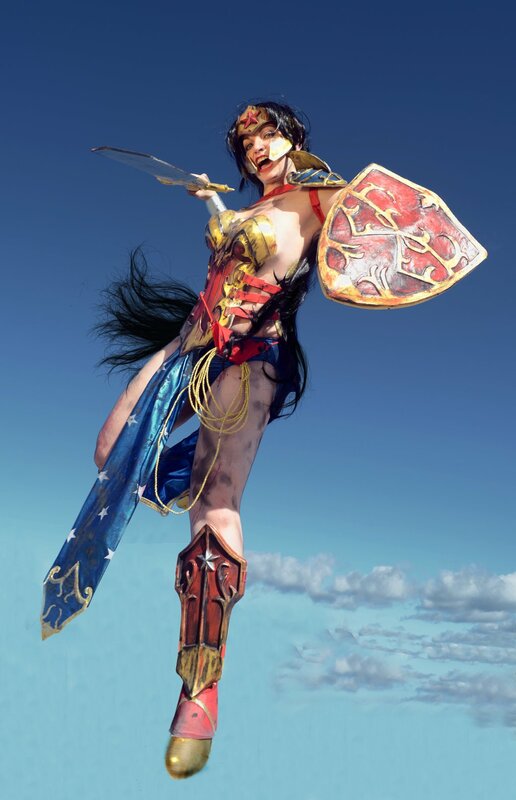 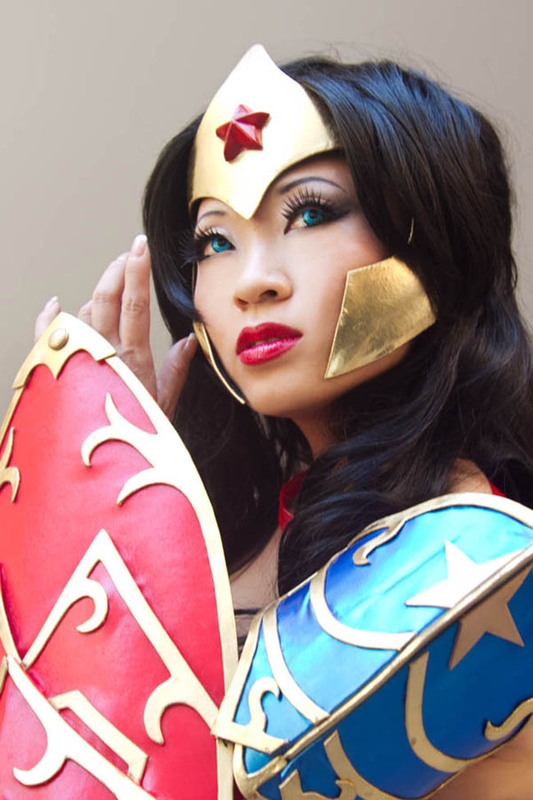 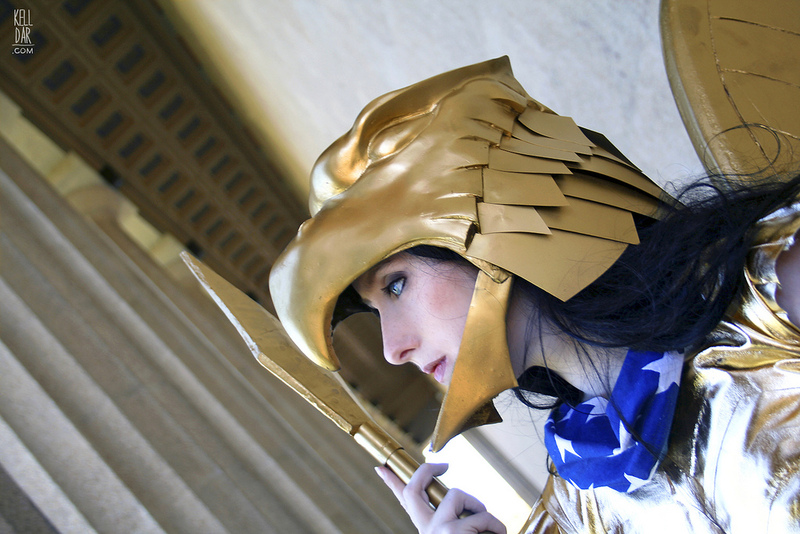 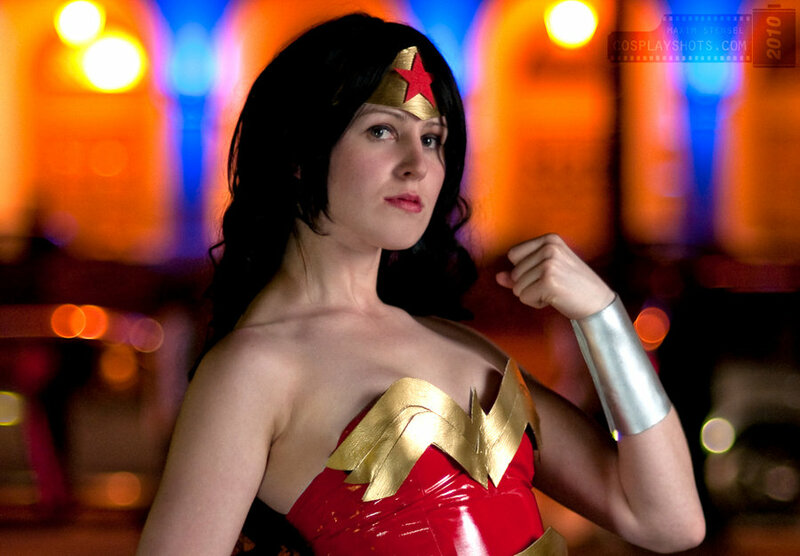 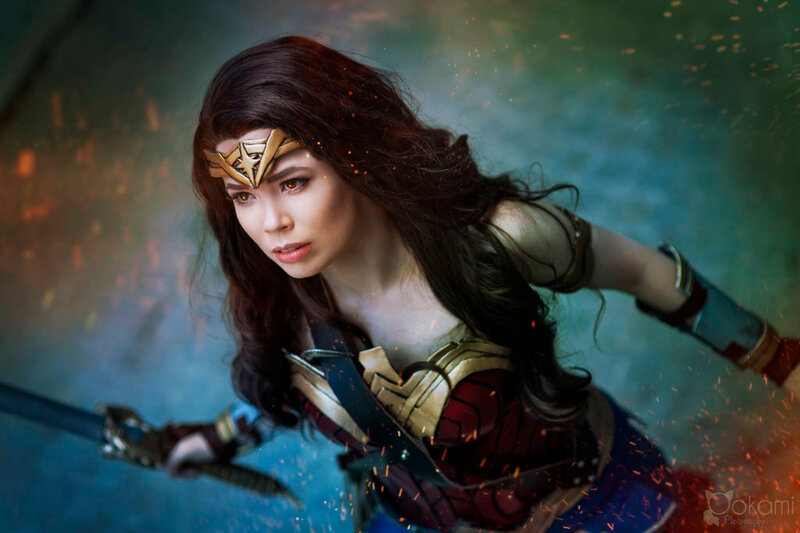 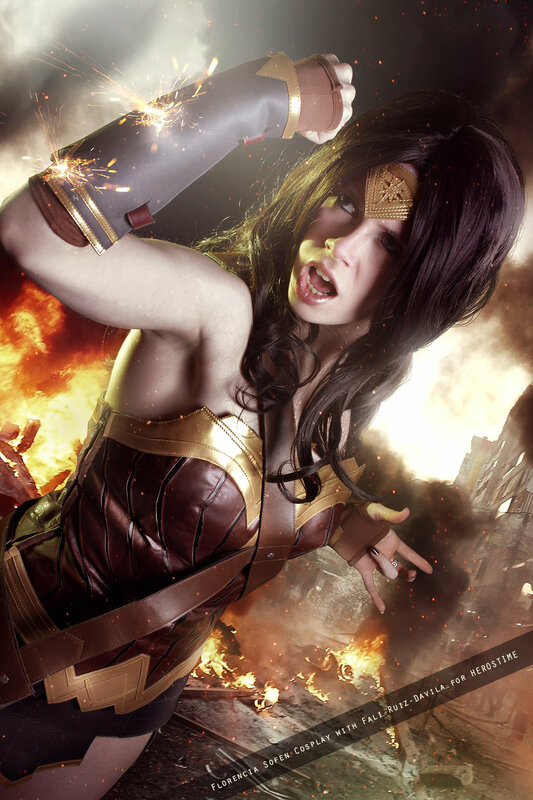 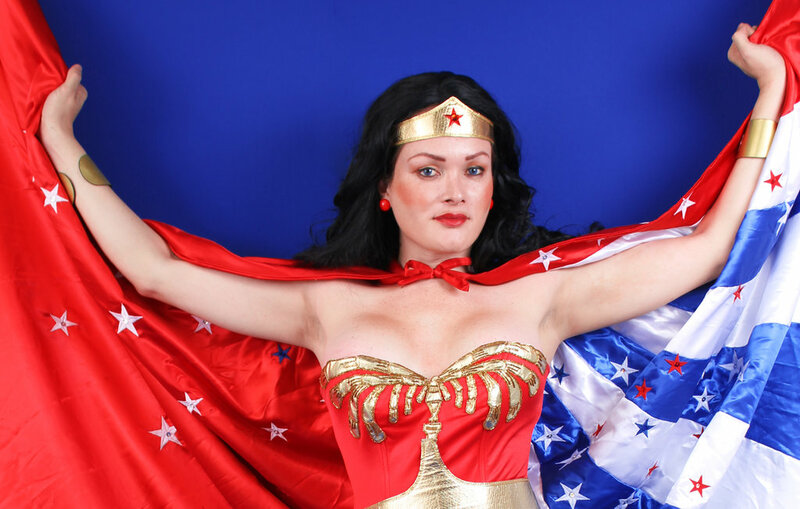 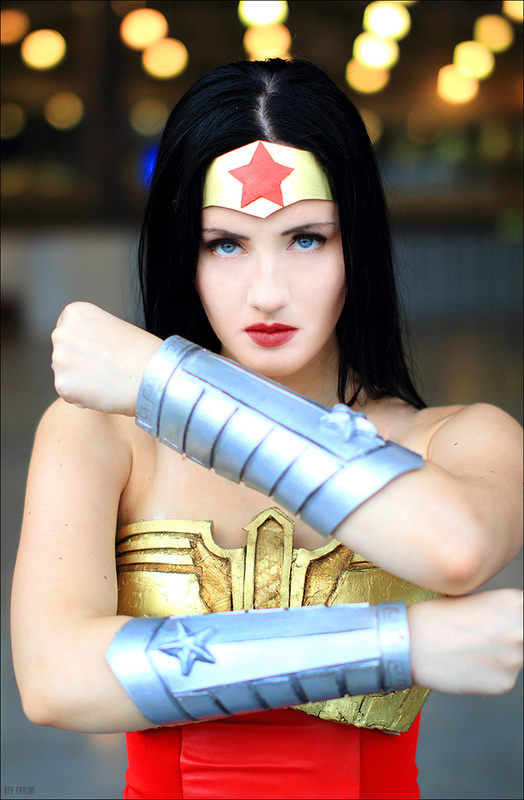 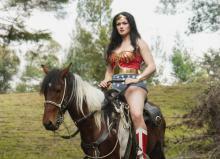 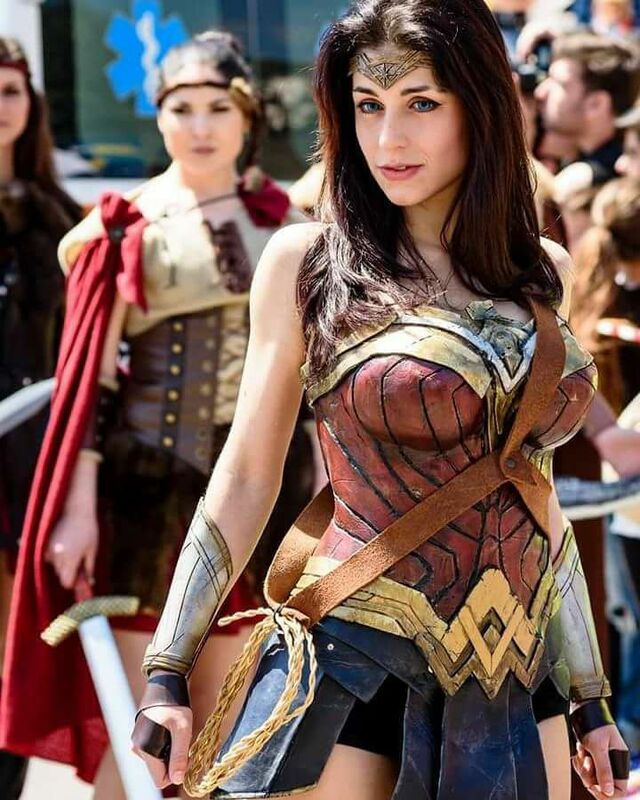 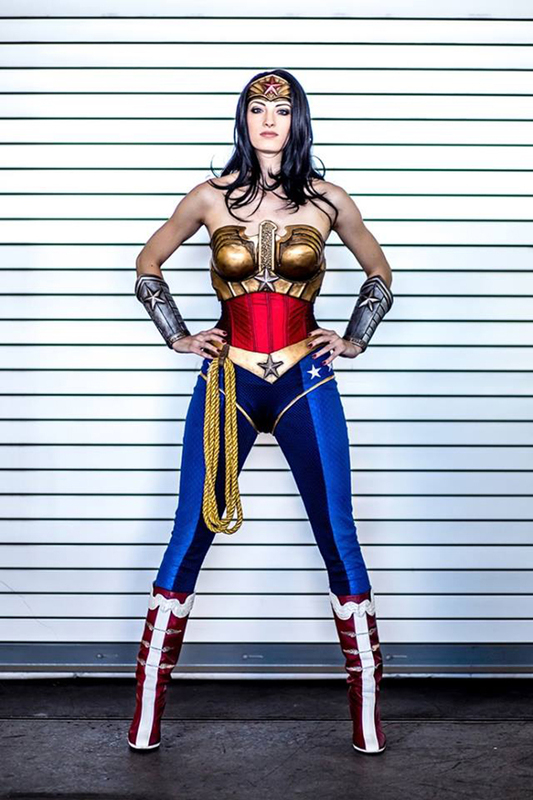 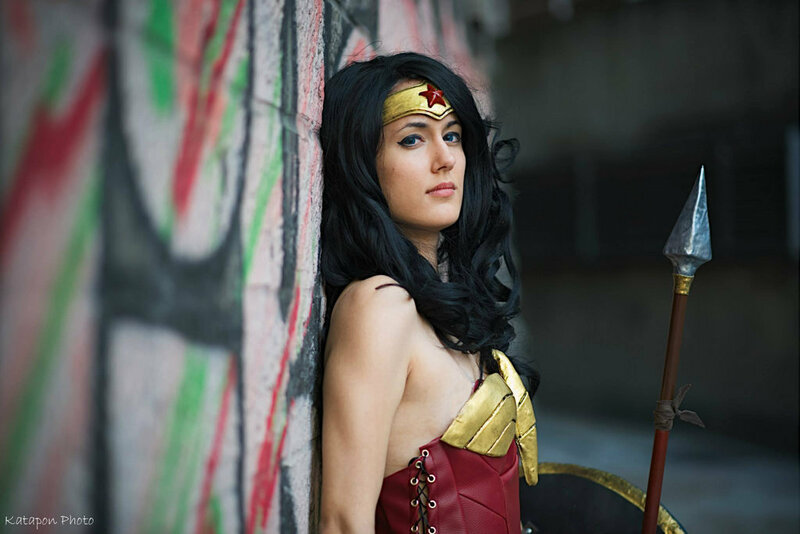 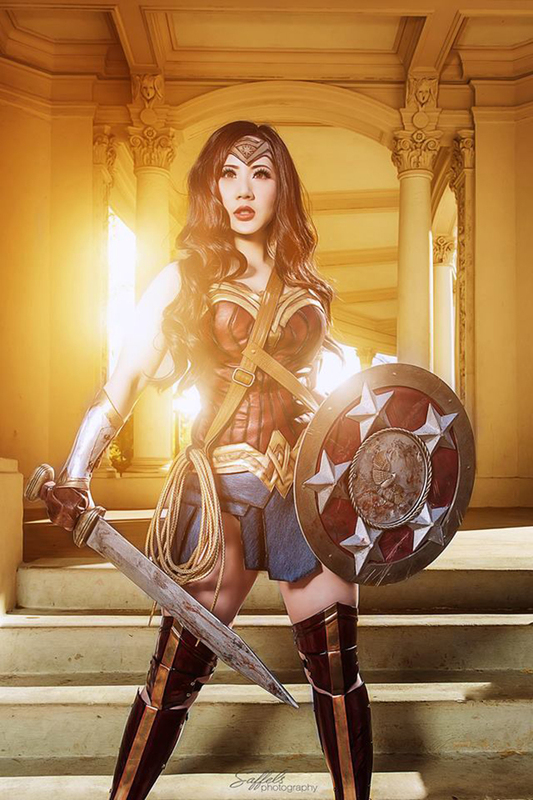 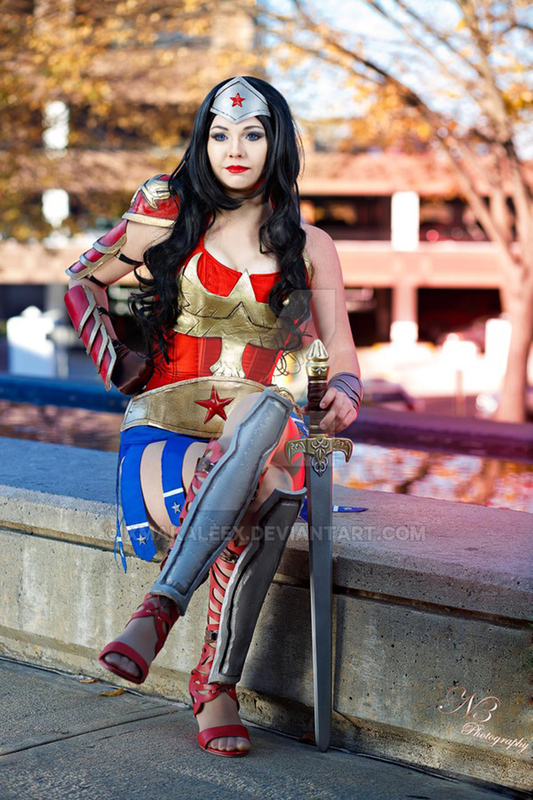 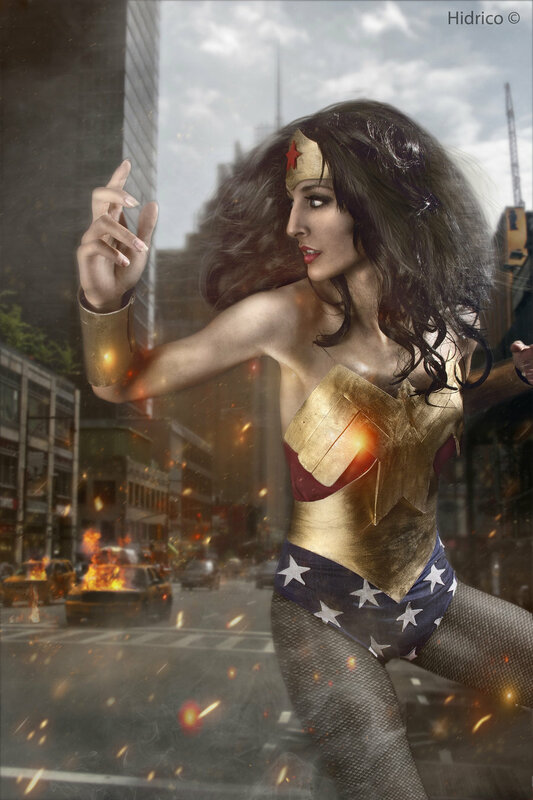 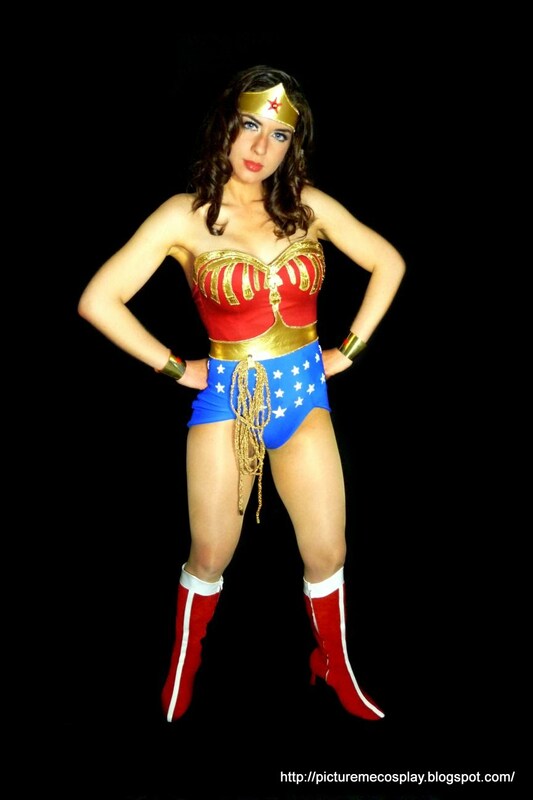 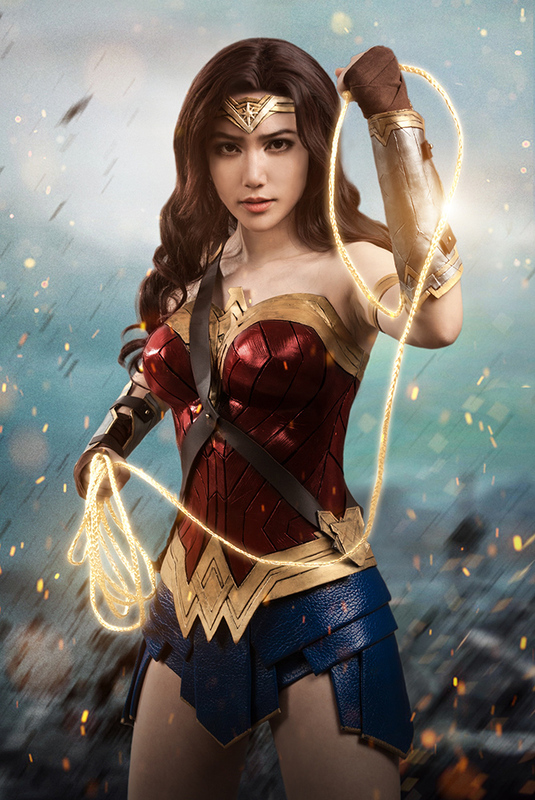 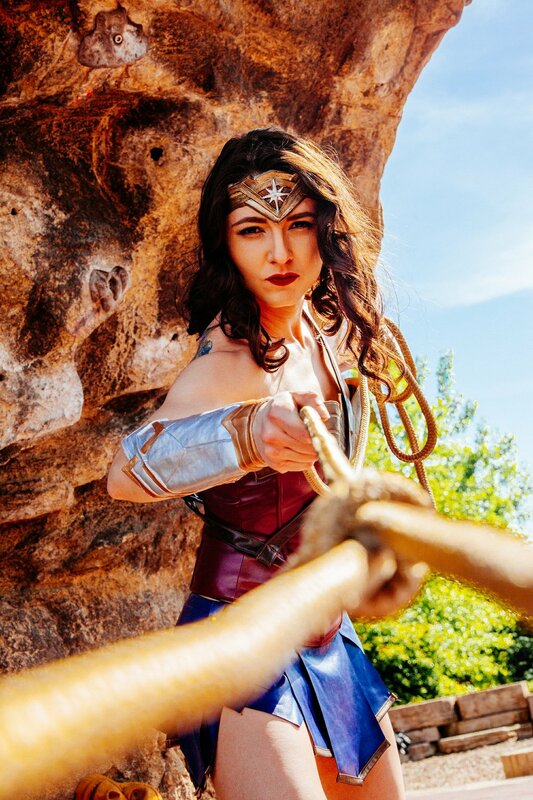 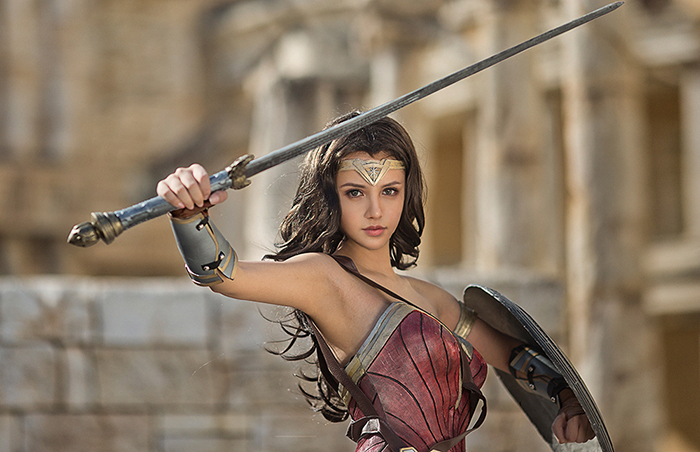 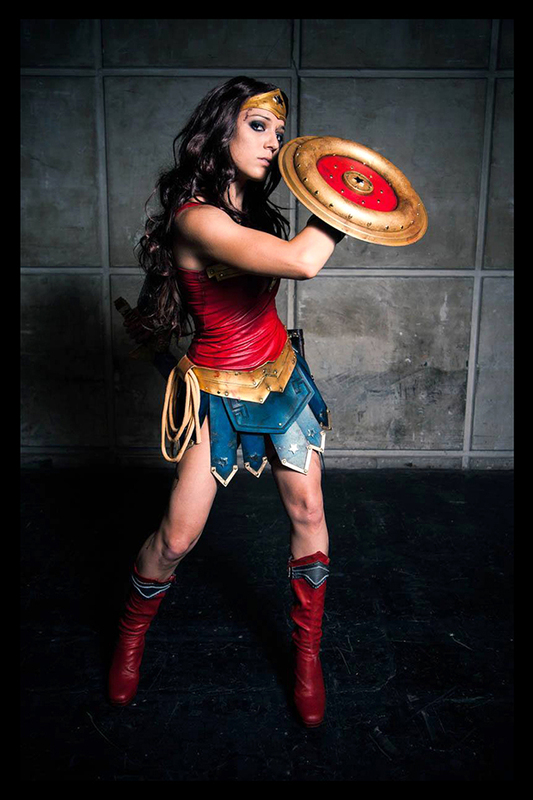 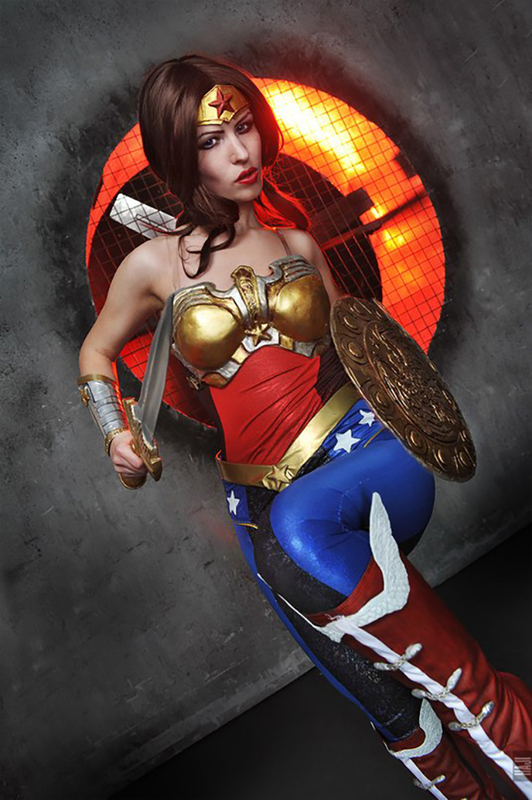 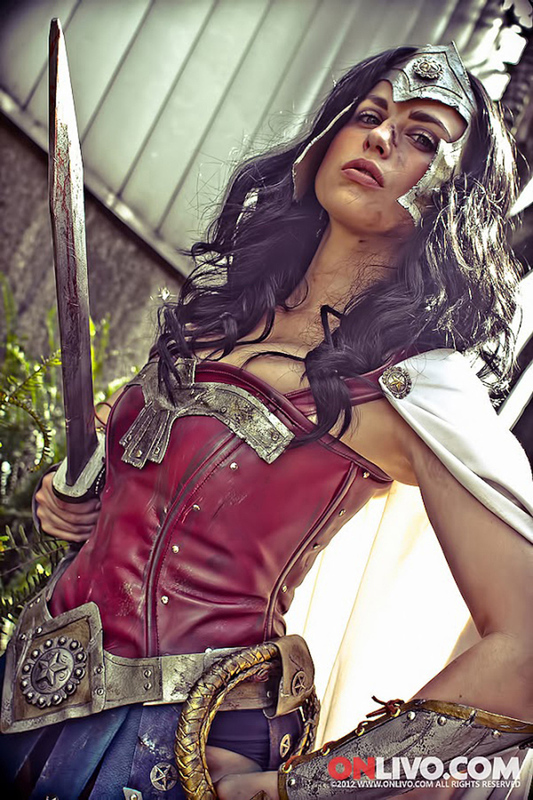 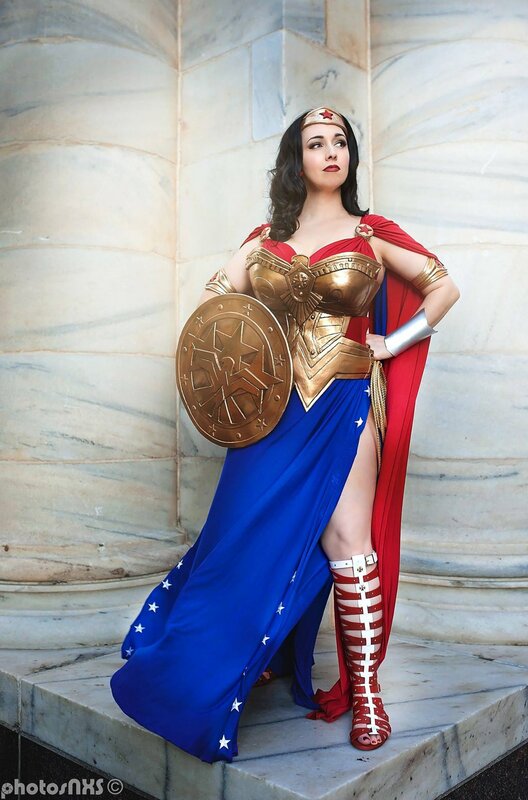 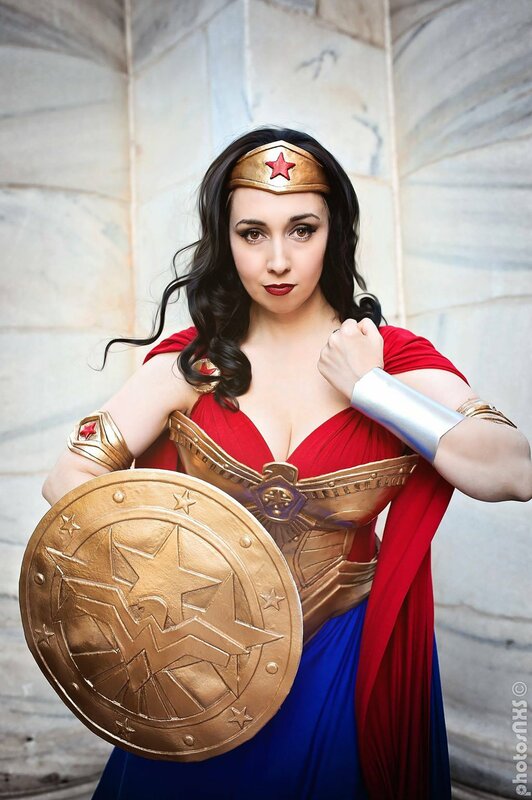 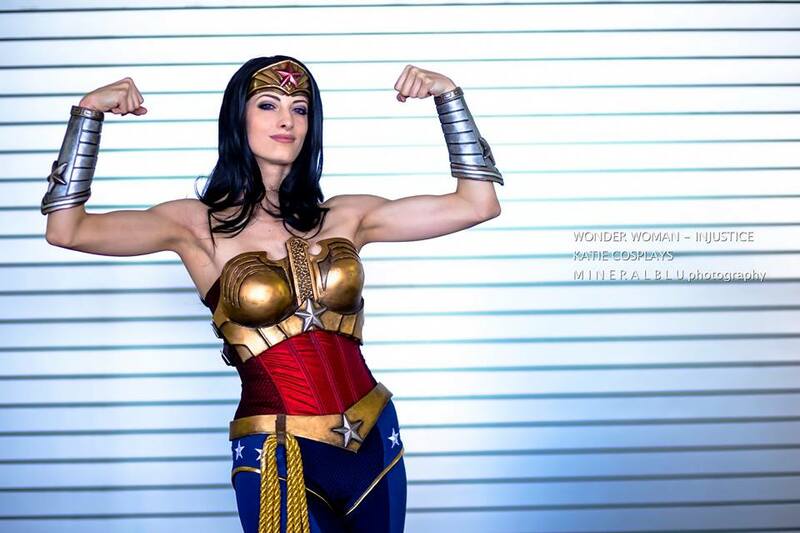 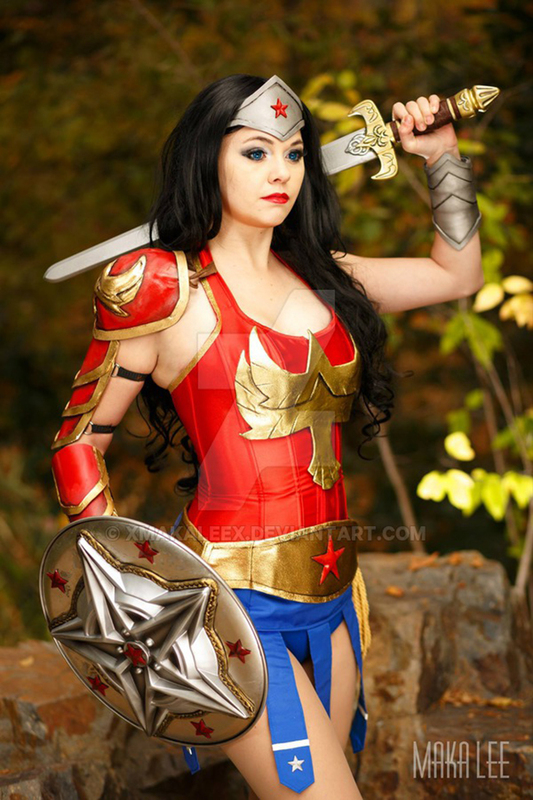 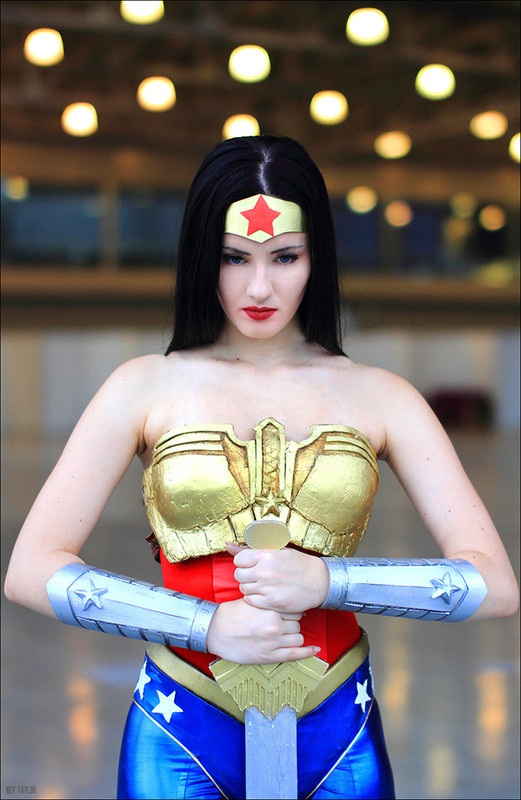 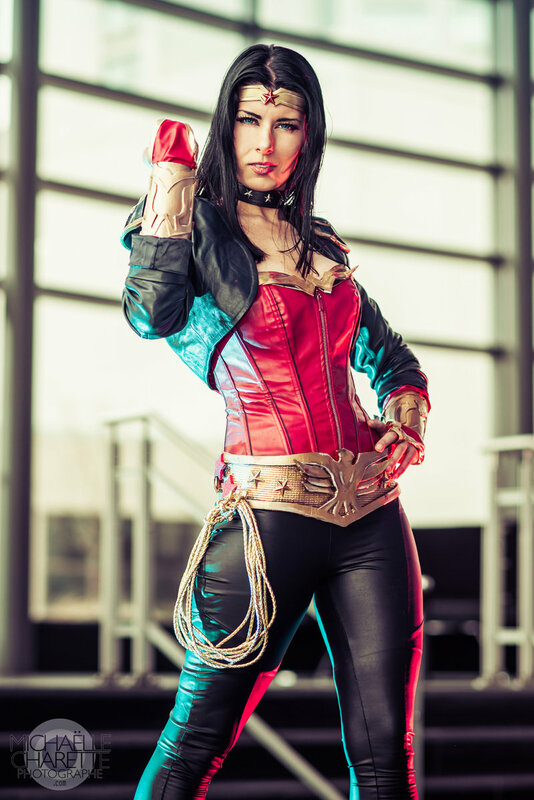 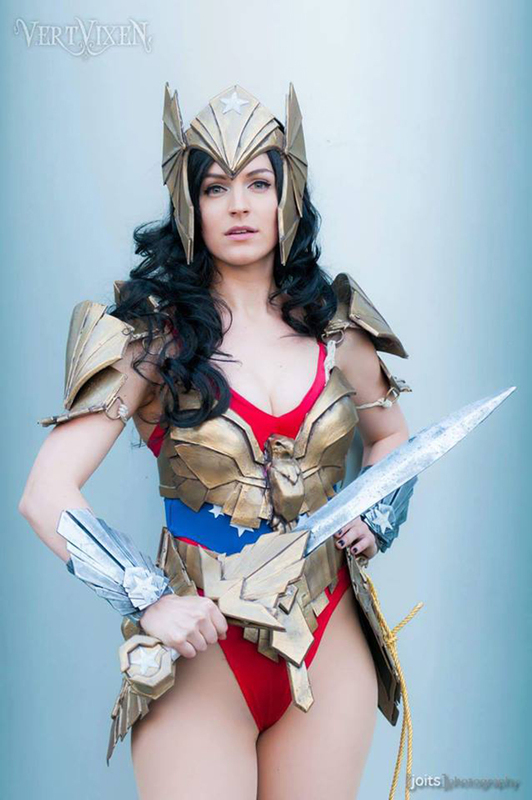 Her popularity with cosplayers has also remained at an all-time high, and here are the top 50 Wonder Woman cosplayers! Wonder Woman is also known as Princess Diana of Themyscira. 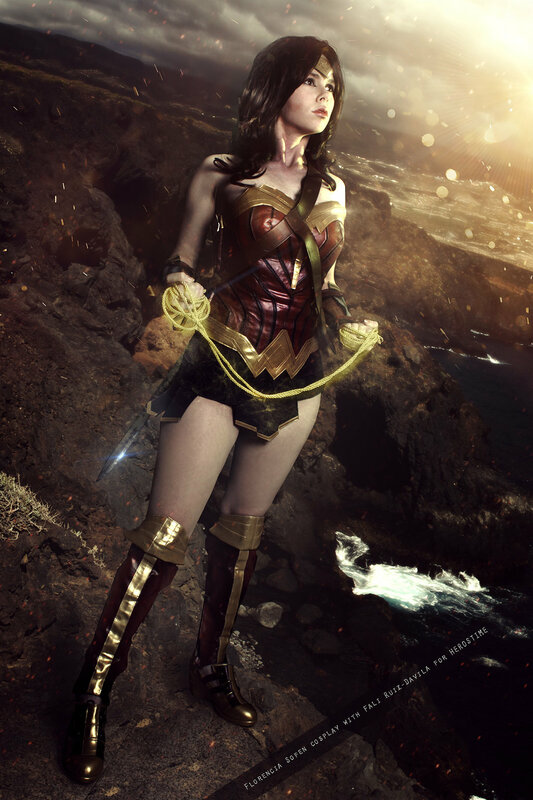 Themyscira is the island nation she and her people, the Amazons, hail from, but it was originally called Paradise Island in the comics. 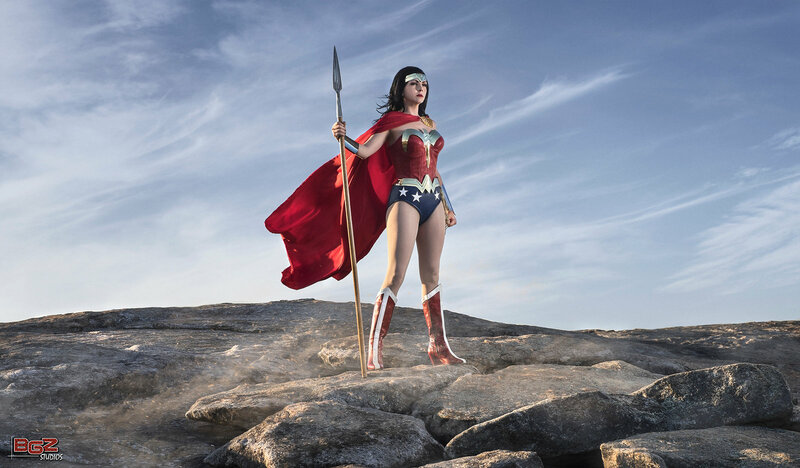 One of the more unique qualities of Wonder Woman among DC superheroes is her warrior attitude, which often is contrasted against the other two members of DC’s Trinity, Batman and Superman. 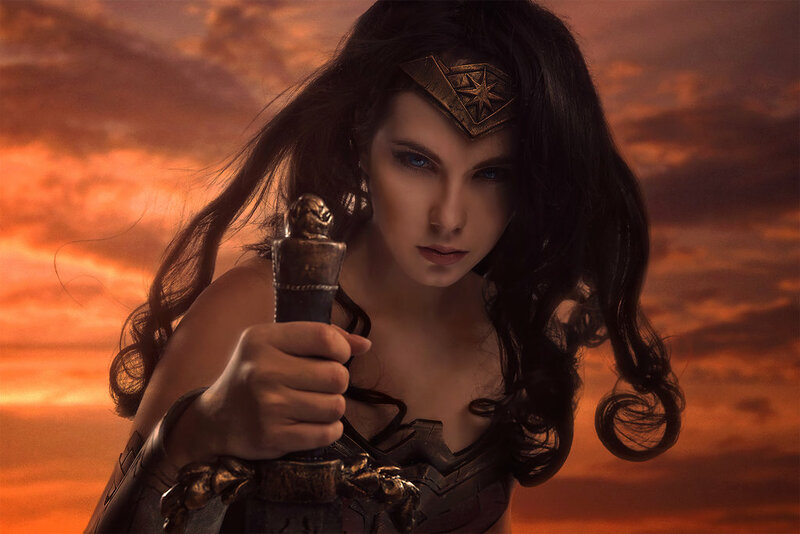 Diana often has no problem directly killing a villain herself if there is no other choice, while Batman and Superman will stick to their no-kill rules. 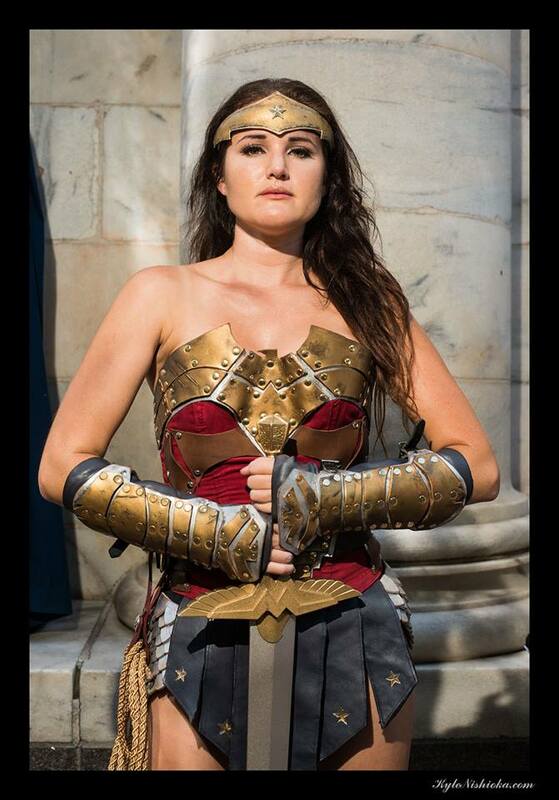 As Princess of the Amazons, Diana has a regal bearing and is brilliant at diplomacy. 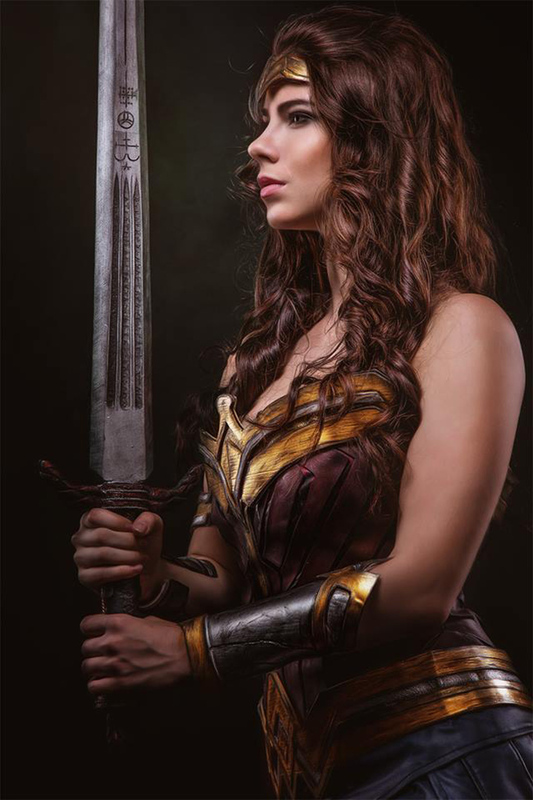 She has centuries of knowledge and training and can speak multiple languages. 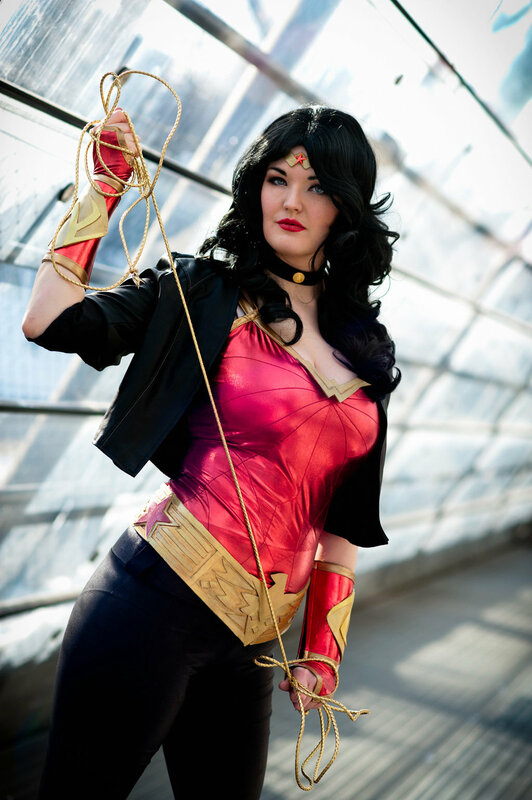 Diana’s more famous superpowers include superhuman strength and durability. 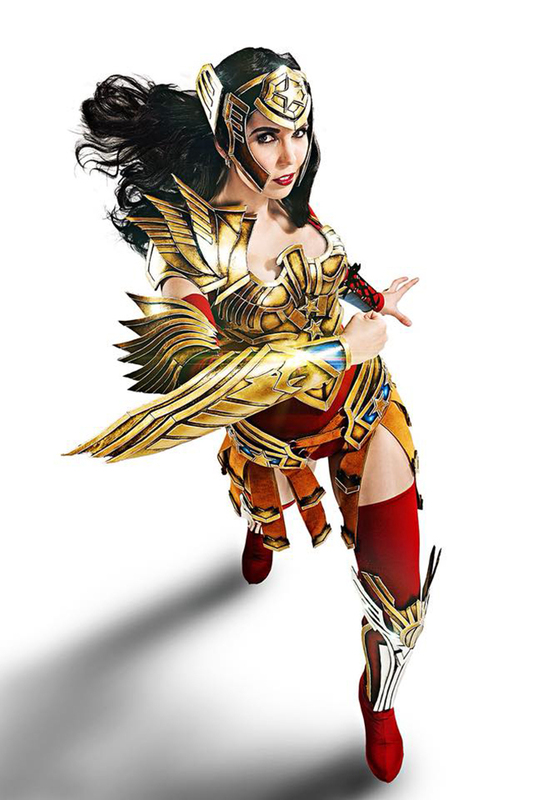 She also possesses superhuman speed, reflexes, agility, stamina, accelerated healing, flight (in certain incarnations) and in the comics, animal empathy and enhanced senses, due to the gifts the gods granted her. 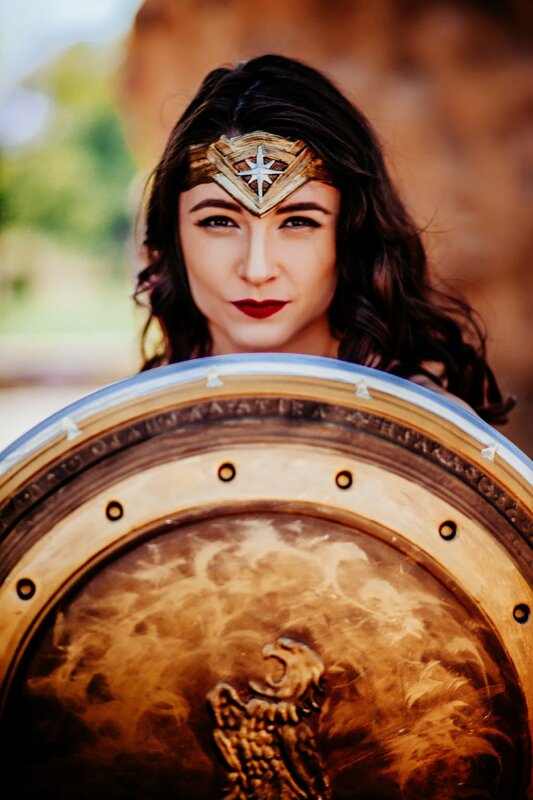 Preferring to spend time in space and occasionally the odd fantasy world or two, Michelle quite enjoys creating stories for distribution amongst the populace. 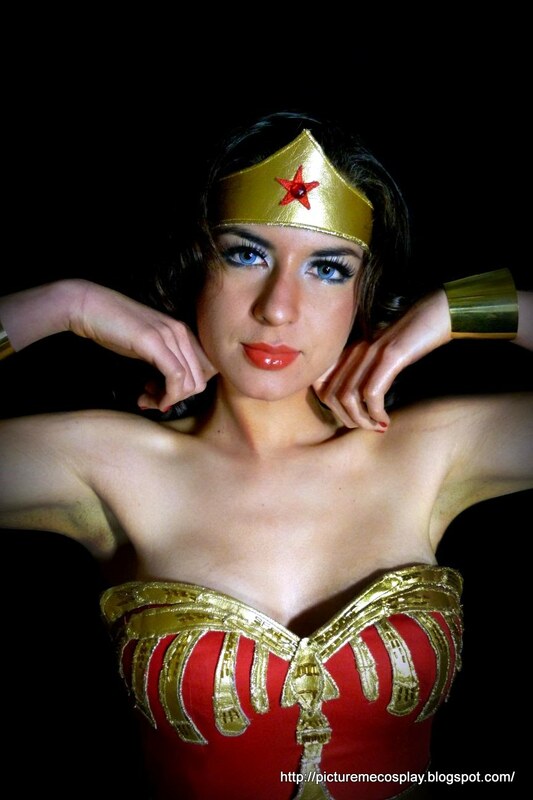 Lynda Carter's iconic version of Wonder Woman!